Despite the offers I get (some stranger than others), I don’t write blog posts for money, or allow people to write posts and pay me to post them, or put ads on my blog. The reason for this is that if the people paying me do something problematic, I don’t want to be in a situation of choosing between paying my rent or calling them out. (Hence my membership program) But today I got an offer that was harder to refuse. I was offered $125 to blog about an athletic wear/dance wear company. 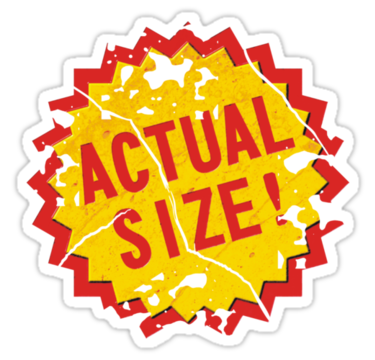 The offer said “It doesn’t really matter what the subject is as long as you feel it would be the best fit for your site and audience.” Upon looking at the site the largest size was XL which, according to their size guide, is a US size 12. I think that one of the ways that you can teach people a lesson is through their wallet, and $125 would buy some nice athletic wear from a company that does sell my size, so I toyed with the idea of doing the post and taking the money. I decided not to for several reasons. First because the request came from an SEO company representing the actual company so the actual company probably had nothing to do with it and I’m not sure it’s fair to punish the company because their SEO dude is incompetent. Also because whether or not the company knew about it I didn’t want to (as my friends who actually know about SEO assured me I would) help their Google position by linking to them in my established blog, and finally because I thought of an option that I decided was both more fun and at least a little more likely to open a dialog. My name is Ragen Chastain, I’m a blogger who was contacted by Sirius SEO on your behalf. They offered me $125.00 to to blog about your product. (I run two blogs – www.danceswithfat.org and www.ironfat.com, as well as co-running the Fit Fatties Forum and Facebook page with a combined following of 23,272 people.) I checked out your site and your clothes are super cute. Unfortunately, as a size 26/28 you don’t carry any clothing to fit me. I decided to send you this e-mail and see if we might open a dialog about carrying clothing for athletes and dancers larger than a US size 12. Please contact me if you’re interested, I’d be happy to put together a group of women to discuss it with you. I’ll keep you updated on how it goes. Until then if you’re looking for plus size workout-type clothes, there is a discussion here – the comments have some great suggestions as well. For those of you size diversity activists who wear smaller sizes, one option for activism is to buy your clothes at places that also sell clothes for people who wear plus sizes (or, as I like to call them, sizes.) That way, we reward companies that are inclusive and when companies choose to ignore fat people it’s not just our money that they miss out on. Of course, what activism you engage in is always up to you. Take Care of Yourself! The Super Earlybird rates for the RASCAL (Radical Acts of Self Care) Challenge are good through October 8th (that’s today!). This program was developed by the Fit Fatties Forum in response to requests to find a way to help us take good care of ourselves through the end of the year and all that entails. Check it out here! That’s an intelligent, polite, and appropriate reply. I hope they answer with a serious intention to widen their size range! I love to see a high road so well taken. Take a coat, it’s turned real nippy here. Very jealous that you live there! I want so much to visit there. Thanx for creating and running all of this. Expect for the donations/memberships part of it because I for one can’t afford it. Highly doubt I would donate or become of member of here if I was able to afford it. Both of these sentences applies to others as well. Have to say that these particular aspects are what I don’t like about it because to me its putting down the drain. Plus, always had bad luck with sites and forums that I have donated/membership to because of how I post and etc. Would rather help in other way/s/capacity/ies. I found to NFL (Natural Family Living) aka ethical blogging networking and/or etc whatever its called. To be better then mainstream family living aka unethical blogging and etc. In which I still high time for The International Code of Marketing Breast-Milk Substitutes (1981) to be looked at and re worked. In order to move toward. I for one have yet to found, etc more ethical blog network, and maybe join in due time. whats an seo? why aren’t they associated with the company? oh wow. i didnt even know those exsisted. thanks! For a minute I thought it was about shoes. I thought size 12 was on the high side (like extremely). I wear a size 9 and that is impossible to find as stores don’t stock it. I last ordered a pair online. But since it’s about clothes, size 12 is obviously on the low side. I have no idea what my true size is because so many stores have different lines, that I could wear an XL in one place, a 2X there, or a 4X here. Not fun shopping. and thats the problem. shopping should be fun. Never has been in my life. I began “developing” at age 9 (back in the late 60s when that was really, really abnormal) and had to wear a bra by age 10. From then onward, shopping has been an ordeal, something I do only when my clothes are so shabby that I *have* to buy something. I flat-out hate it. It’s hard even to imagine what it could mean to have “fun” shopping for clothes. Sigh. great post!I am engaging in some activism today by buying clothes that fit my body versus waiting to change my body size.